What to do with all the plastic waste we are creating? It is made from petroleum. It doesn’t compost or decompose. And what little is recycled creates it’s own pollution. So I make art with this waste. 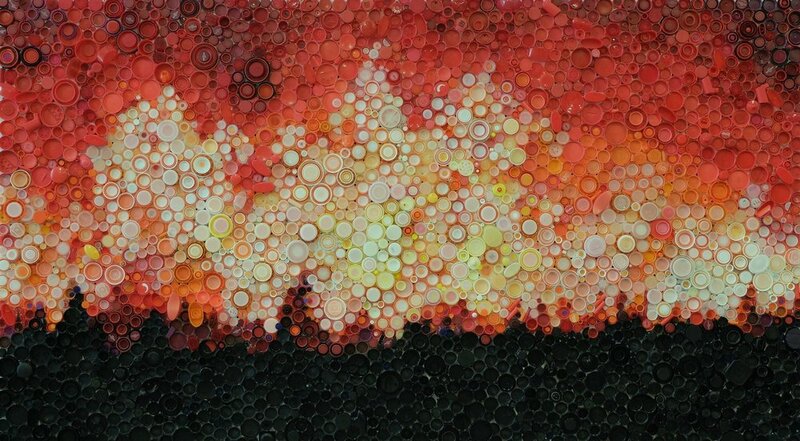 CLOSE is a large self-portrait made of 7000+ plastic bottle caps. It took 7 months to build, and two years to collect enough caps. 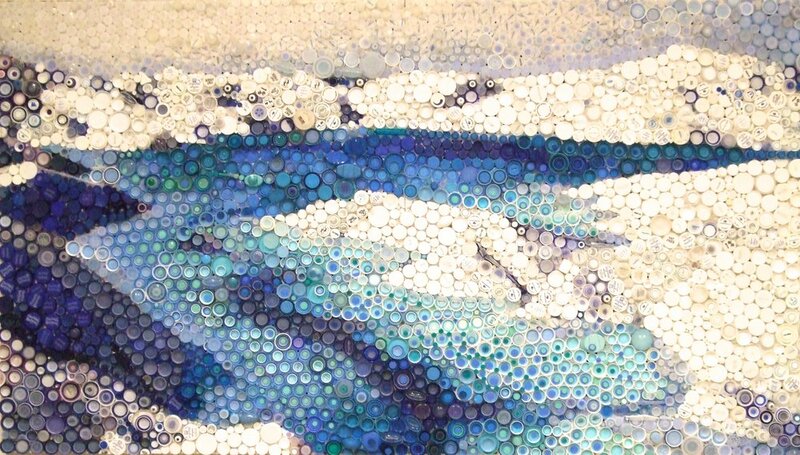 I am currently working on a series of large ecological disasters, also made of bottle caps. My work with plastic is intended to make this waste visible and make the connection between our throw-away culture and our responsibility to the earth. Single-serve plastic bottles are the worst of the worst and should be assiduously avoided. Excessive packaging comes next. We need to rethink our needs and our desires if we are going to save this planet. All works copyright as dated. The hard part: washing and sanitizing each bottlecap.